A victim of the 2017 Westminster terror attack was "completely unaware" of the vehicle speeding towards her, an inquest into the attack has heard. 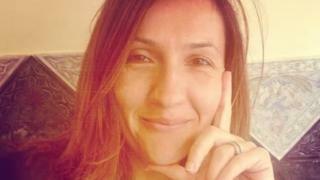 Mother-of-two Aysha Frade was thrown 17m into the path of an oncoming bus after being hit by Masood. The court heard Ms Frade, on her way to pick up her children from school, was looking at her phone when she was hit. 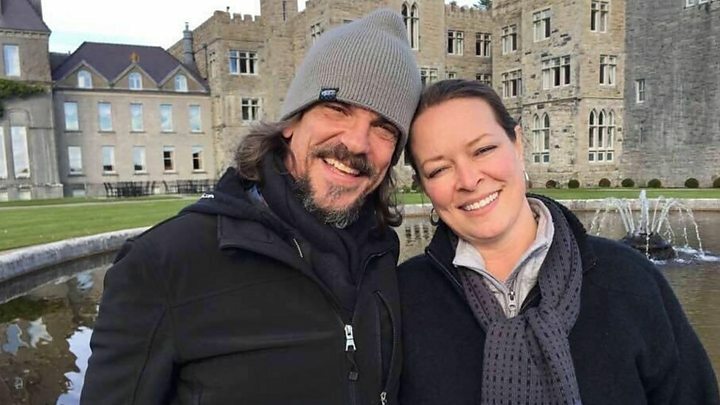 Those killed in the attack on 22 March last year were Kurt Cochran, 54, Leslie Rhodes, 75, Ms Frade, 44, Andreea Cristea, 31, and Keith Palmer, 48. CCTV footage of the moment the car hit Ms Frade, who worked as a PA at independent sixth-form DLD College London, was shown during the third day of the inquest. It showed her being thrown into the air and propelled forwards under the rear side of the bus. Ms Frade's husband and two sisters closed their eyes as the footage was played. Ms Frade, who did not turn around before being hit, was seen falling under the rear wheel of the bus, which was seen to brake. The footage subsequently captured a man banging on the side of the bus and someone else getting off it and approaching Ms Frade. The court heard Ms Frade's husband called her phone shortly after she had been hit. A bystander answered. "There's been a terrible accident," he told him. Witness Rob Lyon had been in London for an interview and was crossing the bridge with two colleagues. He told the court one colleague had shouted "get out of the way" and how he then "heard a crunch sound" and "very high revving of an engine". He described seeing "three people being hit by the car" before hearing "noises, bangs, shouts and next thing I remember is being in the road". He went on: "Initially I was frozen. I just remember trying to slow the bus down because I could see it was going to run over Aysha. "I was just completely in shock." One man stood over Ms Frade until a paramedic arrived on a motorcycle around five minutes after she was first hit. The paramedic, who told the court he arrived at the scene two minutes after receiving the relevant call, knew instantly Ms Frade was dead as her condition was "unequivocal, incompatible with life". The lawyer for the family said graphic photos and videos had been posted on the internet of her body by those on the bridge, causing "real distress to the family". In a 999 call played to the Old Bailey, a man described the aftermath of the attack, saying: "There's been a serious accident on Westminster Bridge. About four or five people have been run over." He went on to say there were "six or seven" casualties, adding: "There's actually a woman underneath a bus. "I think she's dead. I think she's dead." A police officer broke down in tears as she gave evidence about the incident. PC Kirsty Bambrough had been deployed to the bridge that day and was involved in securing the scene around Ms Frade. She went through the victim's bag and found a letter from her children's school. She contacted the school to tell them what happened. When it was put to PC Bambrough that she had seen "horrific injuries" suffered by Ms Frade, she agreed and started crying. The inquest also watched CCTV footage of Ms Cristea, an interior designer from Romania, walking towards the bridge with her boyfriend. She took a photo on the bridge moments before the attack. Footage showed Masood's Hyundai hitting pedestrians, including Ms Cristea. The impact threw her over the wall of the bridge into the river below, the court heard. A 999 call was played to the court, in which a man was heard saying there was "a woman in the water drowning". There were more tears in court on day three of the inquest as last year's events were relived. Ms Frade's husband John and her two sisters decided to stay in court for the graphic footage of her death - but they didn't watch. Instead, with bowed heads and eyes closed, often wiping away tears, they listened as the hearing was taken through the moment she was killed. Ms Frade's family also listened to evidence from those who tried to help her. PC Kirsty Bambrough came to court in her police uniform to give evidence. She spoke quietly in the witness box and then broke down in tears as she remembered seeing Ms Frade's injuries. After giving her evidence, she walked past Ms Frade's family. They smiled at her and mouthed: "Thank you." Earlier, the inquest heard how Mr Rhodes was taken in an ambulance to Kings College Hospital in south London after also being hit during the attack. Consultant Dr Simon Calvert told the inquest he considered surgery for Mr Rhodes but concluded that his injuries were "likely to be unsurvivable". The retired window cleaner was transferred to intensive care and died the following evening. The inquest is set to last about five weeks. A separate inquest into the death of Masood will be held but only once the one into his victims' deaths has concluded. The coroner is expected to examine Masood's background, police records, and look into the fact that he briefly featured in MI5 investigations in 2009 and 2010. The absence of armed officers at the scene will also be examined.